The world’s leading social network is looking into the potential of blockchain technology to facilitate peer-to-peer payments. According to a report from The Verge, Facebook is “very serious” about launching its own native cryptocurrency. As of March 23, 2018, Alexa has ranked Facebook as the world’s third-most visited website. If the internet giant follows through with their plans to create a native cryptocurrency, it could have a significant impact on the public’s opinion of blockchain tech given their immense user base. 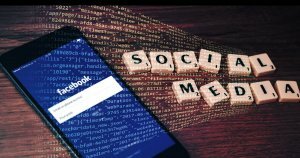 In the past, Facebook has had issues in the past with identity verification and a transparency advertising policy – blockchain could be their solution. However, an actual “Facebook Coin” is likely years away. The fourteen-year-old company is still figuring out how they are going to implement the new technology, but they are “very serious” according to a report from Cheddar. Facebook has a team of just under twelve people working on the project. Although small at first, the team is comprised of key Instagram executives including James Everingham, Instagram’s VP of Engineering and Kevin Weil, Instagram’s VP of Product. Everingham and Weil will be working alongside David Marcus, the lead of Facebook’s messaging app, Facebook Messenger. 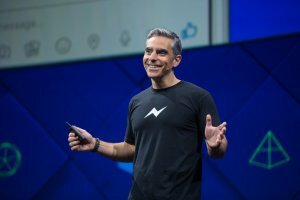 Stan Chudnovsky, previously Messenger’s head of product, will take over as Messenger’s project lead. Prior to his work at Facebook, Marcus was the president of PayPal, a worldwide online payments system. Evidently, Marcus has plenty of experience in the field of payment processing – he was also an early adopter of Bitcoin, and in December he joined the board of Coinbase. Facebook has remained tight-lipped with regards to the project thus far. It seems as though the team is still researching potential applications of the blockchain, but the future looks bright. Facebook has joined the crypto forefront and has a dedicated team of talented individuals exploring the possibilities of blockchain technology.